Thank you for your patience as we update our website. We want to give you the most current information. 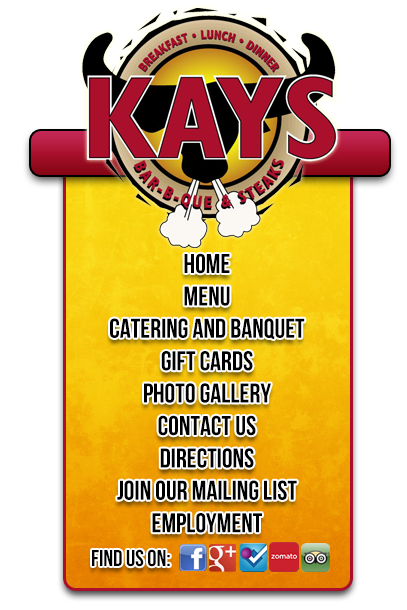 Copyright © 2019 Kays Bar B Que. All Rights Reserved.